Weird but true is a book of weird facts by the National Geographic Society. The base app is free, but you are able to buy add on packs of facts. The interface for this app is very simple. You start at a bookshelf, which contains the content you have available to you. Content that you don’t have access to displays a lock on it’s icon. You can purchase these pack, which are either $0.99 or $1.99. 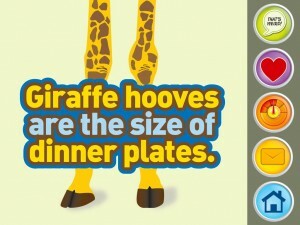 You can see samples of the types of facts you gain access to. On the main screen you have an array of icons on the bottom. 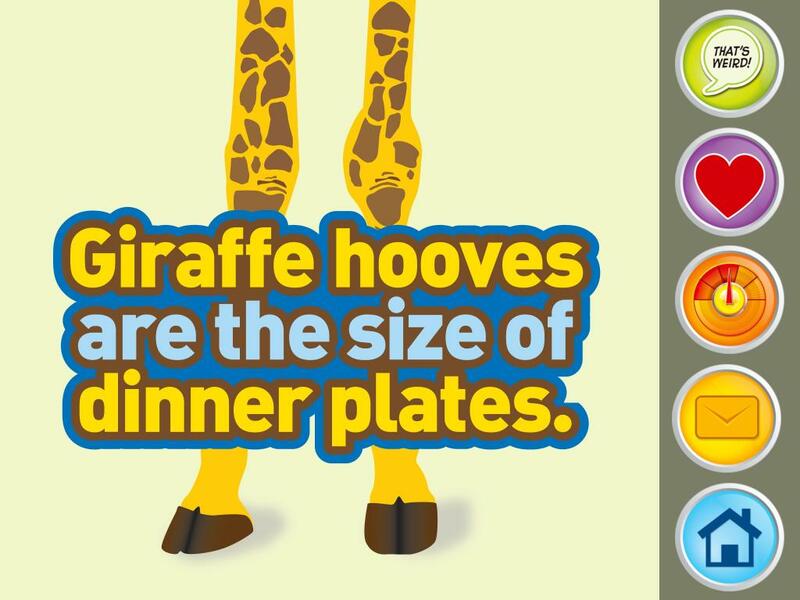 These allow you to have access to your favorite facts, view what has gotten to the top of the weird-o-meter facts list, Fact Finder, instructions on how to use the app, and an about section. The Free pack has quite a few facts. 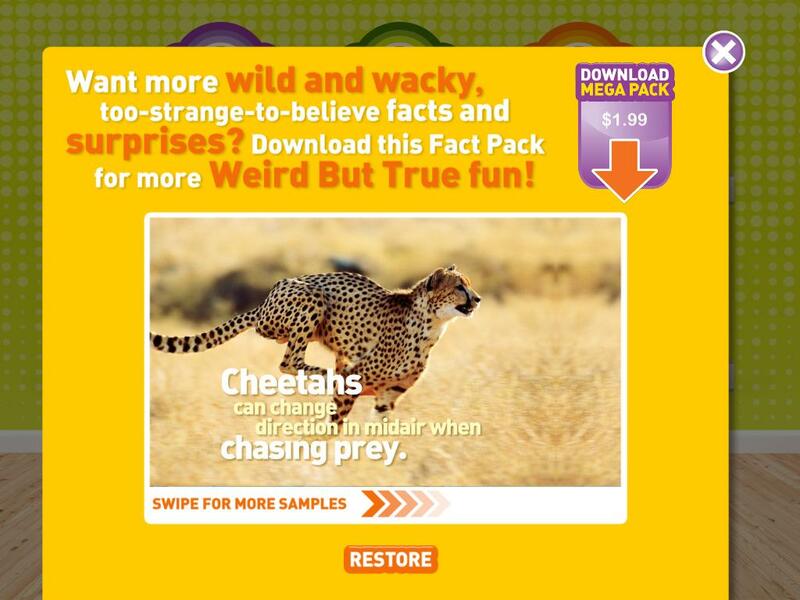 You navigate through the facts by swiping through them. On this same page you can favorite a fact, rate how weird you think the fact is, Share this fact via email or social media, or return to the home screen. Each fact has a sound paired with it, which makes this app feel more interactive. 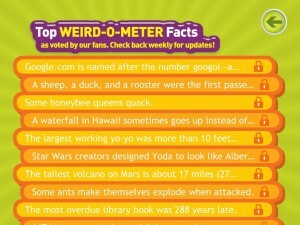 I really like the use of the weird-o-meter, this allows users to rate how weird they think a fact is. 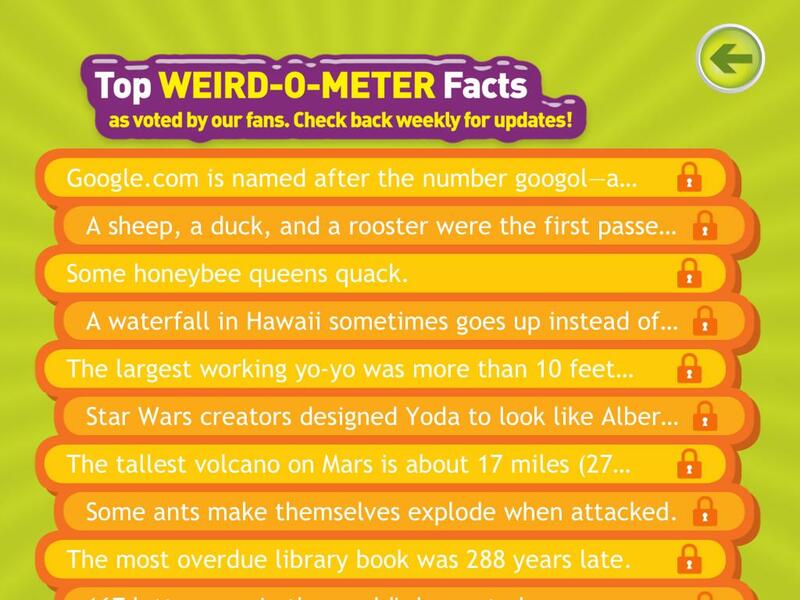 The leaderboard shows which facts the users have voted as the most weird. On this screen you can tell if the fact is available to you or is locked because it is in a content pack you haven’t purchased. The favoriting is also well done. I don’t really agree with this app being under the book section of iTunes in the app store. I would love to see more apps like this to promote education.